Gastric Band Hypnosis is a technique that utilizes the power of your mind to fit a "virtual gastric band" to your stomach, resulting in a decrease of appetite and food consumption as the band restricts the volume of food that your stomach can hold. No! A virtual gastric band is a completely non-invasive procedure, using relaxing Hypnosis and CBT (Cognitive Behavioural Therapy). Absolutely not, you will leave feeling very relaxed and calm. Virtual Gastric Band Hypnosis is an extremely relaxing and pleasurable experience. A virtual Gastric Band has no side effects as it is a totally Hypnotic process and no physical intervention takes place. A Virtual Gastric Band is completely safe. Whilst hypnotised will I be aware of what is happening? Yes, you will feel very, very calm and relaxed, but you will be in control all the way through the procedure. What we are going to do is nothing like stage or TV hypnosis. No Hypnotherapist in the world can make anyone do anything, they don't want to! How do I find out if I'm a suitable candidate for a Virtual Gastric Band procedure? The first thing you need is commitment to your weight loss programme, as with any Gastric Band procedure virtual or not, there are rules you have to adhere to for it to be successful. This procedure is for clients who have a BMI of 30 or above, however you may still be suitable if your's is over 25, so use the BMI calculator on this page. If you meet those two criteria, the next step is a consultation to discuss your Weight, Eating habits and lifestyle. The results of which will outline your suitability. As with any Gastric Band procedure, once completed you will have to adapt your lifestyle to suit. The key to success is YOU! No weight loss system will work unless you are committed to losing weight. You must be prepared to adapt your eating habits to get the maximum effect. 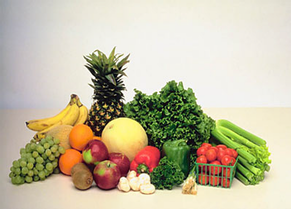 If you are totally serious about losing weight, then it will definitely work for you. The Virtual Gastric Band is a very powerful procedure that will provide you with the psychological tools and commitment you need to not only lose weight, but to maintain that new healthy you. and book-in for your COMPLETELY FREE screening session. If your weight is getting out of control and no matter which diet you try, you continue to put weight on, or “Yo-Yo” up and down, then the Hypno-Band Weight Loss System is for you! The Hypno-Band is a virtual gastric band technique that can help you to lose weight easily, quickly and permanently. Hypno-Band is a safe, risk free and cheap alternative to Gastric Band Surgery and with over 800 Licensed Practitioners in 39 countries is the World’s Number one and Original Gastric Band Hypnotherapy system. How do I know if I’m suitable for a Hypno-Band? The Body Mass Index is determined with the formula body weight in kilogramm divided by height in meter to square. To make it easy for visitor of your web page to calculate the Body Mass Index, use the Free BMI Script/BMI-Club . Allow me to call your attention to BMI. Here at Hypno-Band Kildare we can help you to lose weight effectively, safely and naturally without the needs for drugs or the very high cost or the risks associated with Gastric Band Surgery. We have helped countless Men and Women in the Kildare area to lose weight by using a combination of Hypnosis and Cognitive Behavioural Therapy to convince their sub-conscious minds that we have fitted a Gastric Band to their stomachs. David Birch is a highly experienced & successful Hypnotherapist who has been helping people to solve life’s problems for many years. 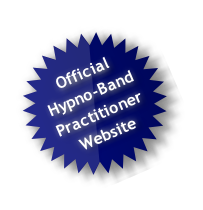 If you wish to verify his Hypno-Band credentials please click on this link which takes you to the Official Hypno-Band List of Practitioners. The Hypno-Band Weight Loss System has appeared on National Television numerous times, although the interview which really brought the attention of the system into the public domain appeared on Breakfast TV with Dr.Hillary and Lorraine Kelly who spoke to Headteacher Kaye Lindley who lost over six stones and dropped six dress sizes after having a Virtual Gastric Band fitted at the Elite Clinic in Spain. On the 28th January 2011 Channel Four’s popular series “Embarrassing Bodies” followed a Hypno-Band client in Scotland who successfully lost weight and in fact became her local “Slimming World” groups “Top Slimmer”! What happens if I decide I want a Hypno-Band? Firstly we need to meet and carry out a basic assessment to ensure that you are suitable for the process. We offer a FREE initial consultation at which we do this. If you are suitable then the next step is for you to pay for your treatment and to arrange your session dates and times. The total cost of the Hypno-Band treatment is just 400 Euros which covers all four sessions and includes all the CD’s and support materials that you require.